Our teak sealer shield will help to make you teak wood furniture water and dirt repellent and is suitable for indoor or outdoor furniture. The teak shield is water-based, almost invisible wood impregnator that makes it difficult for wine, olive oil, butter, or coffee to seep into teak. This ensures that after a meal your teak table can be simply wiped with a damp cloth, without any unsightly stains remaining. 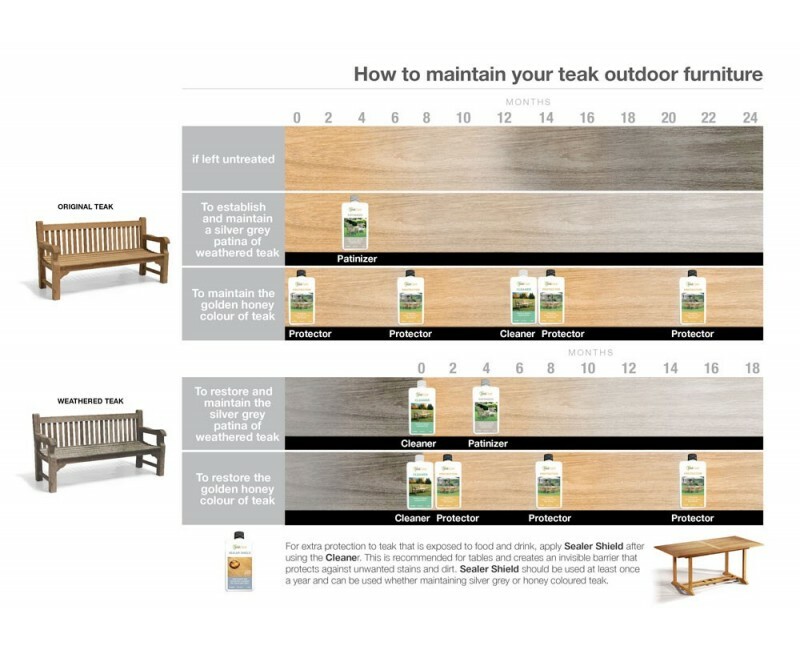 For more information on how to use our teak care products please read our blog article "Caring for your teak furniture during the winter".